Recent work on East Asian pholcids has substantially inreased species numbers, especially in the large genus Pholcus, but also in smaller genera like Belisana and Khorata. In Pholcus (currently 356 species) there is a basic phylogenetic hypothesis (Huber 2011) that identifies major species groups, suggesting an origin in southern China, with more derived groups extenting north and to the Korean Peninsula. Unfortunatly, subsequent work in the region has not built on this foundation but reverted to adding names without much concern for relationships and biogeographic patterns. In Khorata (currently 33 species), many species have been described recently, but no phylogenetic hypothesis has ever been proposed. In Belisana (currently 112 species), the first and only cladistic analysis (Huber 2005) was an effort to place the genus within the family but taxon sampling was inadequate for an analysis of intragereric relationships. Recent works have added many new species, again never going beyod pure alpha-taxonomy. This project focuses on the rich pholcid fauna of China and neighboring countries. 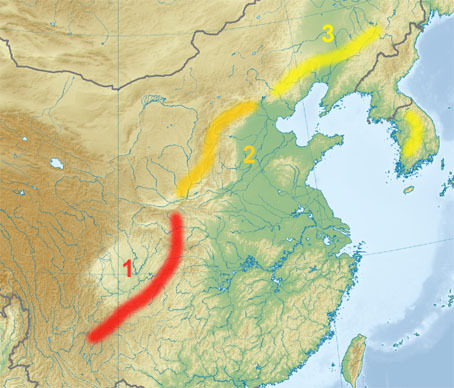 The main hypothesis is that in all three genera, Chinese and Korean species have originated in the tropical south and spead and diversified on their way to the north. Sound phylogenetic hypotheses for each of the taxa are necessary to test this hypothesis. A large collection of Chinese and Korean pholcids recently brought to my attention. Unfortunately, all this material is preserved in 70% ethanol and is thus not suitable for molecular work. Three collecting trips will cover a transect of approximately 3000 km raging from Yunnan to Shaanxi, from Shaanxi to Beijing, and from Beijing to South Korea. The main goal of these trips is the collection of fresh material for molecular work of as many taxa as possible. Published species descriptions will be used in cases where no material is available.